Patented plug-and-knit system. 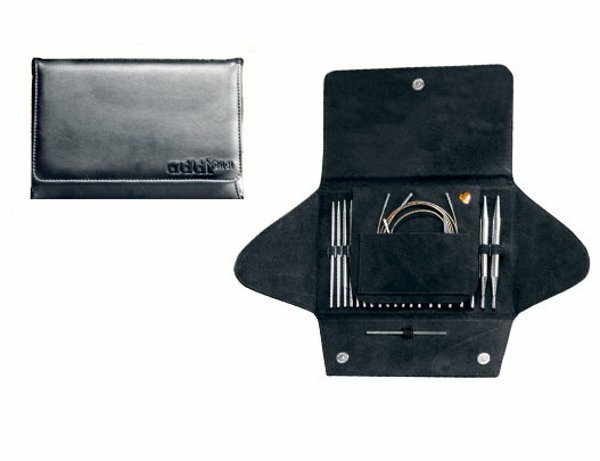 Set includes - 10 pairs Addi turbo needle tips (3.5, 4, 4.5, 5, 5.5, 6, 7, 8, 9 & 10mm), 3 addi gold cords (60cm, 80cm and 100cm lengths), 1 connector, 1 addi gold pin, all beautifully presented in handy carry pouch. NOTE - 3.75mm, 6.5mm, 12mm & 15mm ends not included in set but are available and can be purchased individually.